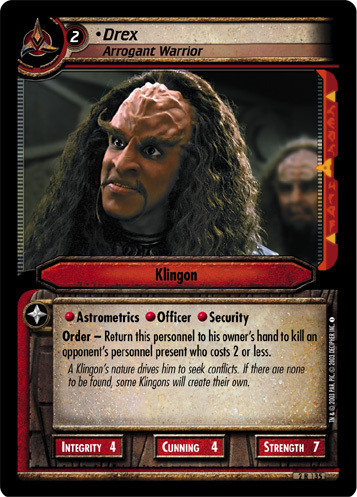 Order - Return this personnel to his owner's hand to kill an opponent's personnel present who costs 2 or less. 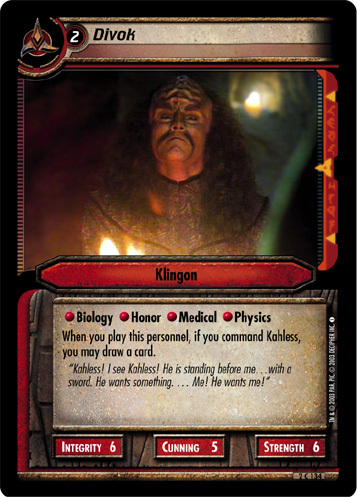 A Klingon's nature drives him to seek conflicts. 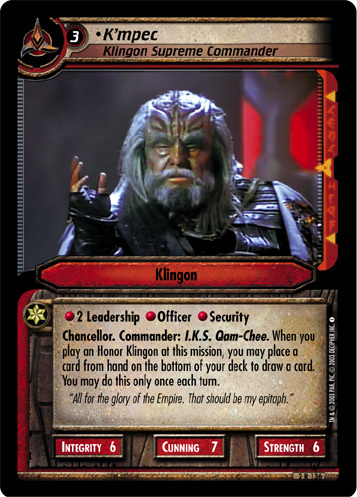 If there are none to be found, some Klingons will create their own.